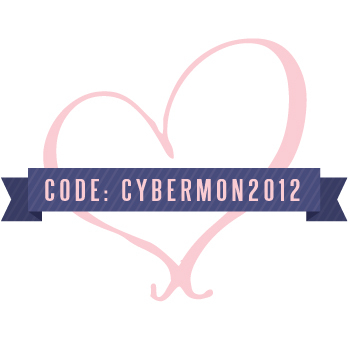 Creative Montage: CYBER MONDAY DISCOUNT! Its been ages, friends....and for that I apologize. Too much going on in one day to sit down and blog...can we add a few more hours to each day? That might make blogging a possibility! Anyways, time for a Cyber Monday discount! How does 15% off anything in our Etsy shop sound? Good? Great! Use this code when checking out! And don't forget, FREE ground shipping to the US on all orders over $50!! This discount only applies to new orders, and not those in process, SORRY! Hope everyone is recovering from Thanksgiving!